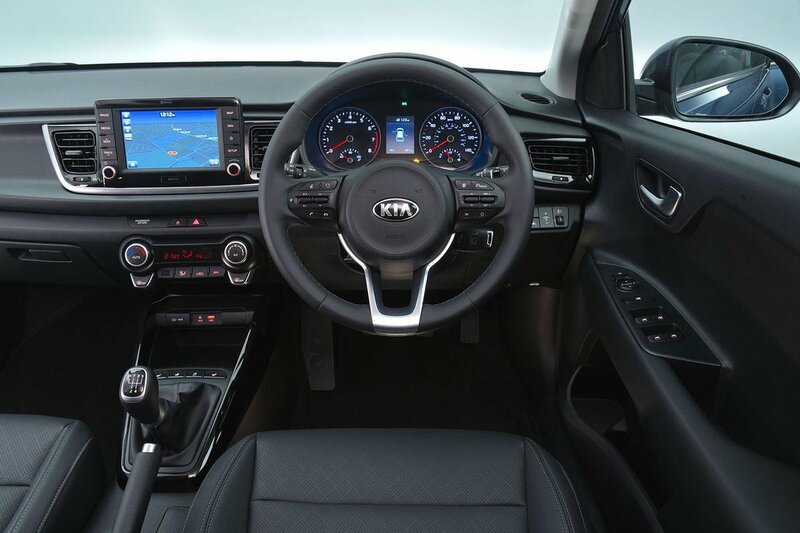 Kia Rio Interior, Sat Nav, Dashboard | What Car? The driver’s seat has plenty of adjustment both forwards and backwards and up and down. Factor in the extensive rake and reach steering wheel adjustment, and you shouldn’t find it hard to get comfy, no matter what size you are. Adjustable lumbar support isn’t available, but this isn’t uncommon in superminis. The gearstick falls easily to hand and has a positive shift action, and the primary controls – lights, ventilation system and infotainment – are all easy to operate on the go. Thanks to relatively slim front pillars, forward visibility is good even when pulling out of awkward junctions. You also get a good view out of the side windows due to a window line that stays quite flat instead of sweeping upward like some rivals. 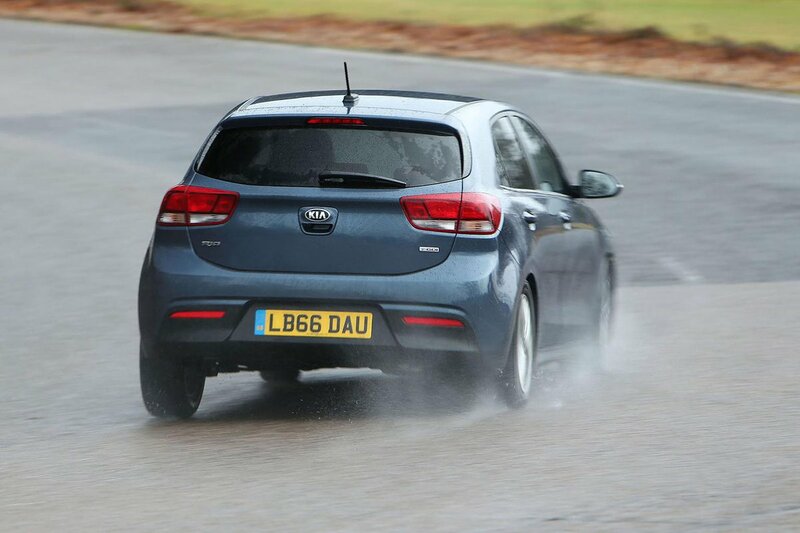 The rear view is less impressive – the rear window is rounded at the sides, which, coupled to thick rear pillars, makes reversing tricky. Thankfully, all bar base ‘1’ models get reversing sensors and a rear view camera. Base models get Bluetooth connectivity and a small 3.8in display that we suspect will be hard to read on the move. Move up to ‘2’ trim and this is upgraded to a 5.0in colour display with a 3.5in information display between the speedo and rev-counter along with USB charging ports front and rear. 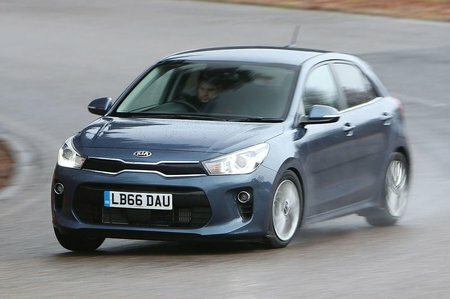 Only when you jump up to top-spec ‘3’ models do you get a touchscreen system with sat-nav. This 7.0in system is clear, easy to use with logical menus and also comes with Apple CarPlay and Android Auto. Irritatingly, you can’t have this system as an option on lower spec cars, forcing you to spend an awful lot of money to get it. Like many rivals, a low price means you aren’t going to find acres of soft-touch plastic or premium trim pieces. With the exception of a soft dash pad, all of the plastics are hard to the touch. Although there’s nothing wrong with that, we did find the door trims looked slightly cheap with their scratchy, shiny finish. A Skoda Fabia proves that even the hard stuff can still look appealing. That said, it certainly feels built to last and the switches feel nicely damped when you operate them.